Auto Insurance – What it means and why you need it! Insurance is complicated and confusing. Most people don’t understand what they have or don’t have, or why they need it until it’s too late. I have known several people who didn’t understand their insurance, and/or just made poor choices in the amount they should be insured for, who faced severe consequences after being in an accident. Learning about what coverage means ahead of time can save your life! There are now more ways to purchase insurance than ever before. This is good and bad. It is quick and convenient to go online, plug in some numbers and get a fast quote, but is it really in your best interest? No. Nobody is sitting down with you explaining what they just offered you and why the rate is lower than other insurance quotes you have received. You generally receive a bare bones policy with the lowest coverage possible, and very little protection, which is what insurance is for. Many drivers figure out this wasn’t their best option after getting into an accident and learning they had little or no coverage for their car and medical bills. Example: My daughter purchased a policy online and thought she was all set. 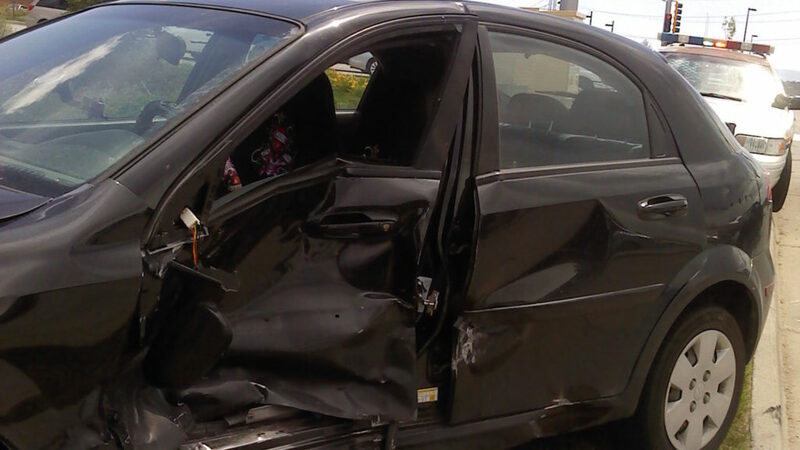 She then got into an accident which was her fault and was rushed to a trauma center. Luckily, she was not hurt too badly, but later found out she had no Med Pay coverage on her policy and was responsible for ALL of her medical bills which totaled thousands of dollars for the ambulance, ER visit, CT scan, X-rays, supplies, etc. That was several years ago and her bills are now in collections. When you call an agent or go into an agent’s office to purchase insurance, you have the opportunity to ask as many questions as you want to and receive a detailed explanation of coverages as well as recommendations for what amounts you should purchase, and why. Auto liability insurance is mandatory in Colorado, yet over 16% of drivers are uninsured. That’s over 600,000 uninsured motorists! If you don’t have insurance because you think you can’t afford it, can you really afford not to? The fine can be much more than the premium for a 6 month insurance policy. License suspension – 1st time suspension will be until you provide proof of insurance. Any time you are caught without insurance again after that, your license will be suspended up to 8 months with a minimum $1000 fine. After your license has been suspended or revoked, you may be required to have what is called an SR-22. This is a form that your insurance company files with the state, stating that you WILL keep your vehicle insured for a certain length of time. Your insurance rate will be considerably higher when this is required and many companies won’t insure you at all. It’s like a red flag waving over you stating that you are a high risk person to insure. If you fail to pay your insurance premium and your policy cancels, your insurance company notifies the state and you are then in bigger trouble with bigger fines to pay and a suspended license again. Only covers the OTHER car and driver when the accident is your fault. Coverage to pay damages to repair your car caused by hitting another car or object such as a building, pole, etc. Also includes damage due to rollover. This coverage is optional. Coverage to pay for damages to your car caused by incidents other than colliding with a car such as weather (hail), hitting an animal, fire, vandalism, glass breakage and theft. This coverage is optional. Coverage that pays for the medical expenses of the people in your vehicle, regardless of whose fault the accident was. This is optional and you may choose to use your health insurance to pay the expenses instead. The amount of money you are required to pay for a loss before your insurance pays their portion to fix the damages. Covers your expenses when you are involved in an accident with an uninsured(driver with NO insurance) or under-insured (driver with less coverage than needed). Your insurance company will pay an amount per day for a rental car for you to use while your vehicle is being repaired, due to an accident. This coverage is for people who are financing or leasing their vehicle. It protects you in the event of a total loss or theft when your lease or loan balance is higher than the actual cash value of the vehicle. This coverage is optional. This coverage has many benefits such as towing, lock-outs, repair at the place of breakdown, jump-start assistance, tire changing and delivery of gas or oil. This coverage is optional. These are the state of CO minimum liability limits. When purchasing your insurance you will always see a set of three numbers like this. 1. The first number is for the Bodily Injury(BI) portion of your policy. This stands for the amount of dollars (in thousands) that your policy will pay for the bodily injuries for each person in the vehicle that you collided with, when the accident is your fault. Example: The policy will pay up to $25,000 for each person in the car you hit, but only up to the amount of the following number. See below. Example: If there are only 2 people in the vehicle you hit whose injuries amount to $25,000 each, you have enough coverage to pay for their bills. But, if the injuries of even one person in the vehicle cost more than $25,000, you do not have enough insurance to cover their bills. 2. The second number is for the Bodily Injury (BI) portion of your policy. This stands for the amount of dollars (in thousands) that your policy will pay in total for the bodily injuries for all people in the vehicle that you collided with, when the accident is your fault. Example: The policy will only pay up to $50,000 for the bodily injuries of all people in the vehicle that you hit. If there are 5 people in the vehicle that you hit and they each incurred more than $10,000 in medical bills, you would be considered under-insured because you did not carry enough insurance to pay for the bodily injuries of all people who were hurt in the car you hit. 3. The third number is for the Property Damage portion of your policy. This coverage is the amount of dollars (in thousands) that your policy will pay when you damage someone else’s property with your vehicle. This can be someone’s car, fence, pole, sign, garage door, etc. The state minimum requirements for the state of Colorado are 25/50/15. This coverage is a joke. If you cause an accident and only have $25,000 to cover the other person’s bodily injury, hospital bills, therapy, medications, etc. you are in a world of trouble when the final bill comes in. If they have to take an ambulance to the hospital, have an emergency room visit, x-rays, pain meds etc., it is going to cost WAY more than this! If you had this coverage and hit any vehicle that costs more than $15,000, which most do, you will not have enough to cover the damages on their vehicle either. Guess where they get the other money required to pay for all of that? Any guesses? YOU. Your personal assets, home, bank accounts, wages (sometimes for the rest of your life), and whatever else they can take from you. They can sue you. You could live a miserable life. So, educate yourself and make wise choices to ensure you, your family and the person you collide with will be taken care of. Doing anything less than this is just silly. The following vehicles are the most stolen vehicles in CO. If you own one of these, your insurance rates will be higher, because the possibility of needing to file a theft claim are higher. *This article is written with the statistics and laws within the state of Colorado and may not be accurate for other states. Check with your local DMV for requirements in your state.